As part of the Utilities Long Range Plan for the University, the natural gas service pipeline to the Power Plant will be improved. 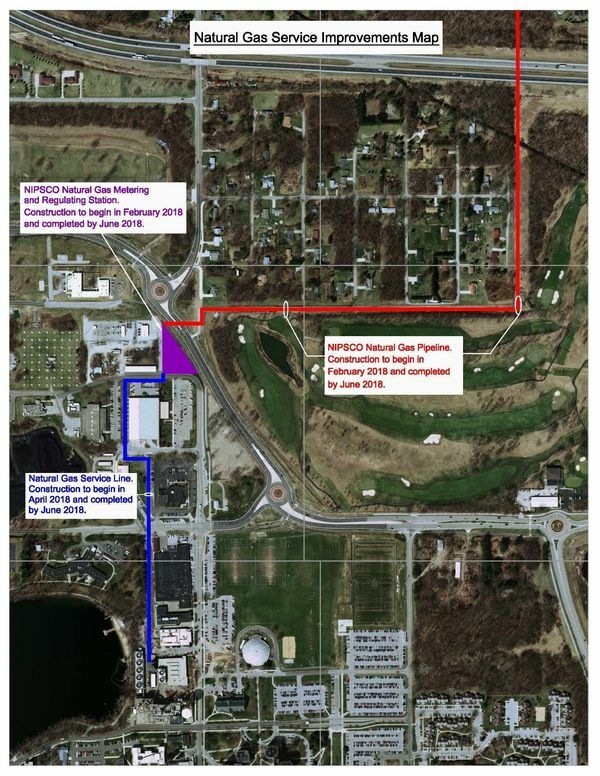 NIPSCO (Northern Indiana Public Service Company) has begun the process of installing a new natural gas pipeline as well as a metering and regulating station. The station will be located north of Mason Services Center. The pipeline will be installed adjacent to the Warren Golf Course along the west and north boundaries. Additionally, the University will install a pipeline from the metering and regulating station to the Power Plant later this spring. Please refer to the map for general location of the pipelines and station. Specific details will be provided regarding any impacts to facility access and traffic the pipeline as they develop. Work will conclude later this spring. Originally published by Mark Hummel at evp.nd.edu on February 01, 2018.